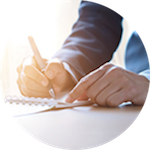 On this page we will explain more about the Common Reporting Standard (hereafter ‘CRS’) and how it may impact you. The CRS is a regulation developed by the Organisation for Economic Co-operation and Development (‘OECD’) to help fight against tax evasion. The CRS aims for fiscal transparency that will lead to Automatic Exchange of Information (‘AEOI’) between jurisdictions who have adopted the CRS. More information on AEOI can be found in the video below, which has been created by the OECD. Hong Kong as a participating jurisdiction has agreed to incorporate the CRS regulation into its local legislation. Under the CRS, it is mandatory for financial institutions located in a CRS participating jurisdiction to pass on information about certain financial accounts and policies held by tax residents from CRS participating jurisdiction. This means that we are required to obtain information related to our customer’s tax residency and tax identification number(s). This applies to both natural persons and legal entities. How is CRS affecting new AXA Hong Kong customers? If you are a new customer who is a tax resident in a CRS participating jurisdiction, we might be obliged to obtain information related to your tax residency and tax identification number. This is why, starting from 1 January 2017, you might be requested to fill in a self-certification form when you apply for an insurance product. 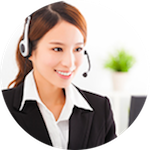 How is CRS effecting existing AXA Hong Kong customers? If you are an existing customer who falls within the CRS scope we will verify your information. If we find that further information is required, we will contact you and request you to fill out a self-certification form. This website provide guidance and information regarding AEOI. Provide answer and rules regarding your tax residency for each national tax authority. For more information on how to identify your TIN-number or your functional equivalent. Introduction to CRS on OECD website. If you have any specific questions regarding your tax residency, please contact a professional tax adviser. Why is AXA providing tax authorities with my tax details? AXA is required to report your tax details on an annual basis. Inland Revenue Department will automatically forward the data to the relevant tax authorities (if any). The Common Reporting Standard (CRS) is a new information-gathering and reporting requirement for financial institutions in participating countries or jurisdictions (such as Hong Kong). It is intended to further strengthen international efforts to increase transparency and cooperation by tax authorities. The CRS regulation aims fiscal transparency that will lead to Automatic Exchange of Information (“AEOI”) between jurisdictions that have adopted the CRS. In practice, information about the taxpayer will be sent to the local tax authority, which will automatically forward the data to the tax authorities of the taxpayer. Who is affected by the AEOI? Both individuals and legal entities are affected by the AEOI if their tax domicile is not exclusively in Hong Kong. AXA must therefore clarify with the customers where their tax residency is. Under the CRS, AXA as a financial institutions is required to identify customers who appear to be a tax resident outside Hong Kong, and report certain information to the local tax authority, Inland Revenue Department (IRD). IRD may then share that information with the tax authority(ies) where the customer is tax resident. Why are you asking me for my jurisdiction(s) of tax residency? Under the CRS, tax authorities require financial institutions such as AXA to collect and report certain information relating to their customers’ tax residencies. 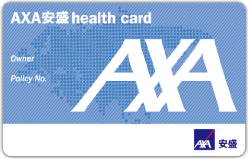 If you buy a new insurance policy, AXA Hong Kong will ask you to certify a number of details about yourself. This process is called “self-certification” and we are required to collect this information under the CRS. How often will I need to provide a self-certification form? In principle we will only ask you to fill out a self-certification form once. We might contact you to fill out another form when you update your personal information or when we have a reason to believe that your reportable status may have changed. The concept of tax residency may differ per jurisdiction. Please contact a professional tax advisor or visit the OECD website for more information on tax residency. What should I do if there are changes in circumstances that affect my tax residency? Please provide AXA with an updated self-certification form within 30 days when there is a change which affects your tax residency status or TIN number. What information will be gathered from me? For entities additional information is required, which can be found in the self-certification form. What information will be exchanged under the AEOI? Personal data: name, address, jurisdiction of residence, taxpayer identification number (“TIN”), and the date and place of birth. Financial account data: account and policy number, account balance or value (year-end), and the gross amount of interests, surrender or taxable value, interest/earnings, benefits, contract terminations as appropriate for the year concerned. All financial institutions – that includes banks, insurers and asset management businesses – in participating countries or jurisdictions (which includes Hong Kong) are required to comply with the CRS. For a list of countries participating in the CRS, please see the OECD portal. For further information on your tax residency, please refer to the rules governing tax residence that have been published by each national tax authority on the OECD portal.